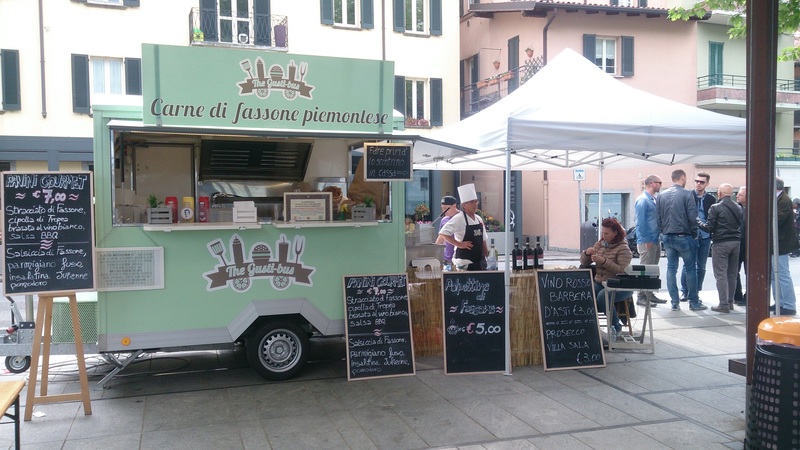 Malgrate, LC Italy, Street Fud Festival 2016 showing off the new trend and growing industry of Food Trucks in Italy. Merchants had everything from the classic New York hotdog to fried calamari and there was even a food truck offering snacks for pets! It was a cloudy day with a bit of drizzle but that didn’t shun off the crowd. There was live music and entertainment for children. I even got a selfie with a Minion! Malgrate is a nice little town across the bridge from Lecco with beautiful views of the lake and the surrounding mountains.